Dental sealants are a quick, easy, and relatively cheap (as opposed to the dentist bills you’ll accumulate for root canals) solution for preventing cavities. Although the idea behind sealants is not new, they’re quickly becoming the go-to treatment for kids who need extra help in the dental department. The American Dental Association recommends that kids receive dental sealants as soon as their adult teeth erupt, but less than 40% of dentists actually comply. Studies by the Centers for Disease Control and Prevention found that only 20% of children at poverty level and 40% of kids from higher income homes actually get the sealants. So why are some parents still slow to punch? 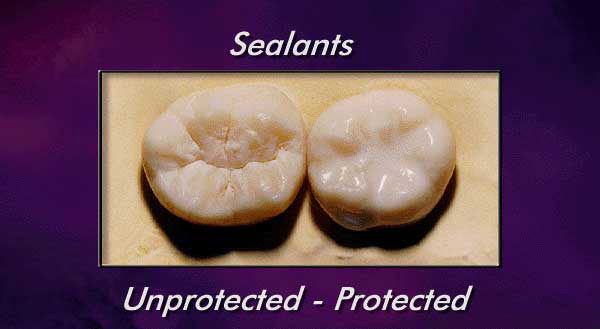 There’s been a lot of debate over the effectiveness and safety of dental sealants. If you’re a parent, you’ve probably heard the buzzword “BPA” quite a few times in recent years. The biggest factor in the general safety of dental sealants is Bisphenol A, commonly referred to as BPA, which is a resin used in many types of plastics. There is some evidence that BPA can be harmful to a child’s health, but it’s not conclusive. This evidence cites BPA is a hormone disruptor and one study tied prenatal exposure to BPA with hyperactivity and anxiety in babies, especially girls. In July of 2013, the FDA banned BPA in baby bottles and children’s drinking cups. Dental sealants themselves don’t contain BPA, but many of them contain compounds that turn into BPA when they come in contact with saliva. However, professionals claim that “the amount of exposure is extremely low” and can be reduced even further. By scrubbing and rinsing sealants after they are applied, 88% to 95% of the compounds that can turn into BPA are eliminated. The jury is still out on this one, as some dentists say there isn’t enough BPA present to warrant any concern, while others maintain that you shouldn’t expose yourself to any level of BPA if possible. The one thing they do agree on? If you do opt for dental sealants, make sure to talk to your dentist first about scrubbing and rinsing the sealants thoroughly once they’re applied. This question is a bit tricky. Manufacturers are not required to disclose all of the ingredients in their products, and many (somewhat falsely) claim to be BPA-free. 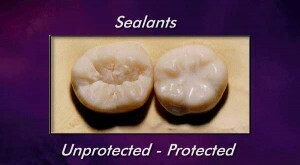 Dental sealants are plastic made from monomers that are derived from BPA, including bis-GMA and bis-DMA. BPA itself is rarely used in dental sealants. So in this sense, they are BPA-free. However, once the sealants are worn down and exposed to saliva, BPA is created by a chemical reaction. As with all medical and dental treatments, the cost can vary depending upon the provider and your insurance. Typically, cost is around $30 to $40 for each tooth and is covered by most dental insurance providers.